The Probability unit is divided into five main topics covered over approximately half the term. ​Below is an image of the likelihood scale we use in class. 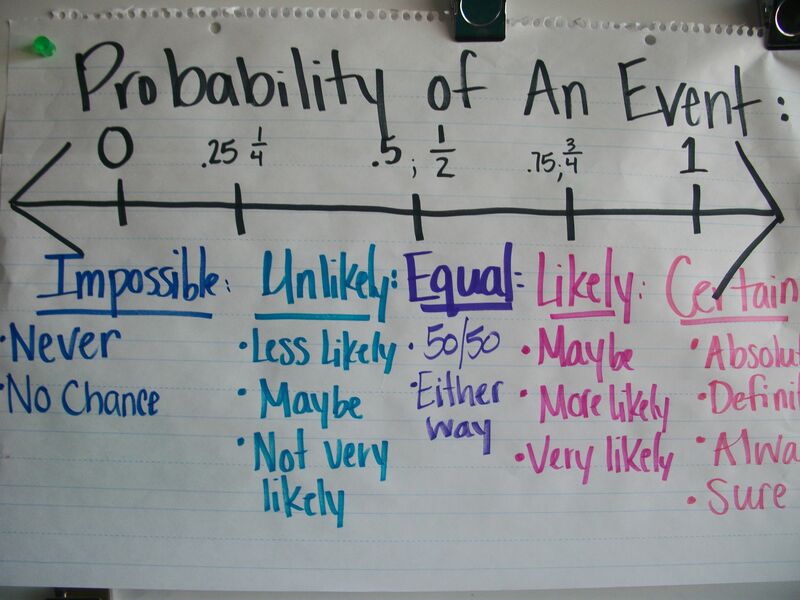 This scale is used to describe the likelihood of an event. We use this when we are discussing probability to someone who is not well versed in the material or when we do not know the exact probability. Actuarial Foundation article describing an activity with fair and unfair games. This is a great review for your tests and quizzes! Band Tour Probability Game - See if you band can make it big touring the USA! Use the theoretical probabilities given to make your tour schedule. Interactive Experimental Probability Generator - Input the number of trials you conduct your experiment and the computer will generate your experimental results to compare to your theoretical results.